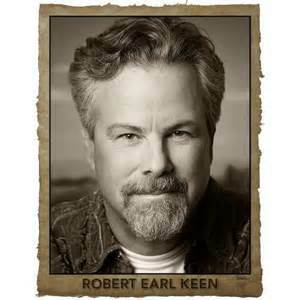 Robert Earl Keen sang in my ear……and it wasn’t awkward. Flash Forward a few years and a few band members later with 3 top 10 Texas Country Music singles and opening slots for The Eli young Band, Randy Rogers Band, Jason Boland and the Stragglers, Cory Morrow, Pat Green, Wade Bowen, and all the heavy hitters in the scene, it seemed we were headed where our young minds had only dreamed of going. We were soon asked to play the Robert Earl Keen’s Texas uprising in Corpus Christi at The Concrete Street Amphitheater. We would play on the small stage which still would have a crowd of a few thousand people watching us. We were beyond thrilled! I was backstage where the vans and busses were parked getting ready for our set. As I started walking from the van towards the stage I saw a long haired bearded man with tattoos of pistols on his arms and aviator glasses walking the opposite direction towards me. As I passed I said “What’s up Shooter?” He just gave me a rock star head nod and we continued on our own ways. It was Shooter Jennings!! Waylon Jennings son! We were playing right before his band hit the stage. I was on cloud 9 breathing in the diesel fumes from all the busses humming along to their own tune, and seeing my 15 seat passenger van trying to hold it’s own right along with them. We rocked to a packed house and even saw members of the Eli Young Band jamming along in the crowd. They were playing later on the big stage, and we had made friends with them from opening up for them a handful of times. After the show I was so pumped and coming off my adrenaline high when Mike Eli (Front man of Eli Young Band) came up to me back stage and congratulated us on a good show. He said if we ever needed anything to let him know. My head was spinning at the time, and I naively said “I’d love a beer”. I immediately thought to myself that’s not what he meant and felt really embarrassed. Needless to say I got my own beer and thanked Mike over and over for listening to us and his kind words. Later that night all the singers from all the bands that day were invited on stage with Robert Earl Keen to sing the popular song by Creedence Clearwater Revival “The Midnight Special”. I had heard the song, but did not have the lyrics memorized. Keen’s crew had that problem covered with huge white lyric sheets taped to the floor of the stage by all the mic stands. I wasn’t worried. I was 4 whiskey drinks down and was just gonna stand on one of the side mics with some other singers from Reckless Kelly and The Eli Young Band, and try and look cool and not fall over. Robert Earl Keen himself pointed at me for some reason and motioned for me to come to center stage with him. What!? Why me? There were way bigger artists on stage at the time. Short story long, Mr. Keen would sing the melody in my ear right before the part came up so I could sing it correctly. NO big deal, we were only in front of about 10,000 people!! They cheered and I will never forget that day for the rest of my life. It’s those moments, and a million other small insignificant moments on the road that make me love music. From moldy hotel rooms, stinky band vans, countless hours driving down TX highways and county roads, the jaeger stains on my guitar from when an appreciative fan bought a round for the band. The hecklers in new towns screaming out cover tunes because they don’t know your originals yet. The UPs and downs and everything in between is why I am a musician and will always be. The reason I said this involves you is because I thank you for taking the time to listen to my music, and read my stories. You make it matter. I hope we can travel down this musical journey together. Here’s to the ride!! listen to my most recent EP,”Fightin’ Side”.